Chicco had a volcanic mind, a razor-sharp sense of humour he never turned off, and a big heart. The years of my most assiduous attendance at the chess club were livened by his leading spirit: he organized blitz tournaments, wrote hilarious weekly columns on chess-related activities on our bulletin board, updated the club's rating list, mocked anybody who was unable to smile when losing a chess game. After hours, we would often meet at his house to play strategy games until late night, like Risiko!, or card games, or to simply hang around. For a 20-years old youngster who loved games and was willing to have fun with a good company, he was a perfect older brother. Then things changed: he was hired by CES, an organization of the EC in Brussels, and he moved there. I remember I was puzzled when he told me he would leave his girlfriend -a beautiful lady with whom he had a stable story-, because it did not make much sense to try and hold together the relationship as he left while she was forced to stay in Venice by her job: "All good things come to an end" was his remark. Chicco was a not really a fatalist; rather, he was a quite rational thinker. Our chess club became a less merry place after his departure: the void was not filled -it could not be filled-, despite my good will to take his place, write wannabe-witty columns in his style, and take charge of the Elo rating list. I visited Chicco in Bruxelles several times during the late eighties and early nineties. He was always happy to offer me hospitality in his house. Those were the years when the GMA, the GrandMaster Association, organized super-tournaments often based in Bruxelles or Rotterdam, and I was happy to use his place as a base and follow those tournaments, take pictures I would later sell to chess magazines, interview the Grandmasters (see here for an account of an interview with the current World Champion, Viswanathan Anand, which I took in 1987 at the Sheraton Hotel in Bruxelles during one of my visits), or just enjoy the games. In the evening he would take me around the city, to show me odd places he had discovered, improbable pubs where some fancy beer was brewed or where chessplayers met for coffee-shop games. 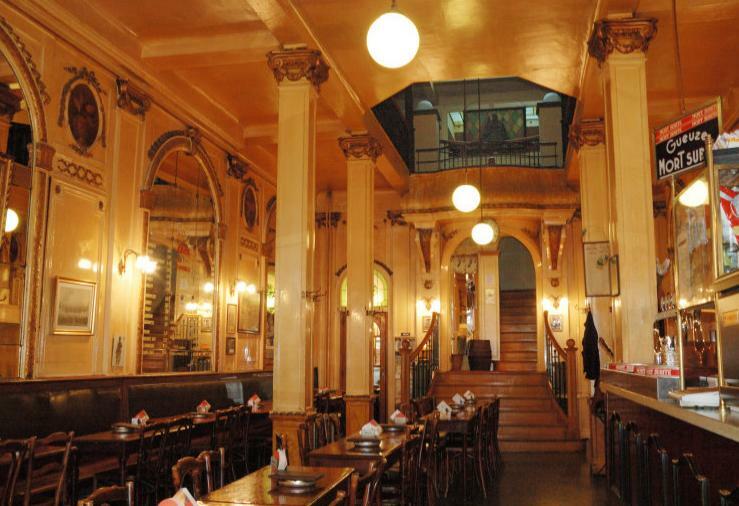 He loved a place called "La mort subite" (see above), a pub for which the twentieth century passed with no effect. We kept in touch by e-mail after that, but of course this became gradually harder. He married, had a daughter in 1994, then a pair of twins a few years later. I also moved away from chess and into particle physics, got a life of my own, and our contacts became sporadic. But he stayed in my heart. Since the early nineties, Chicco had become involved in deep studies of reverse engineering of software. He created a web site where he explained techniques for code cracking -a subject which fascinated him for the challenges it posed, like a game of strategy. The site had an enormous success, as it started to collect contributions by all those interested in those techniques. It became sort of a "school", where ideas were exchanged and a wisdom base was created. However, the site was targeted by intimidating legal actions by software firms, was taken down, then resurrected. 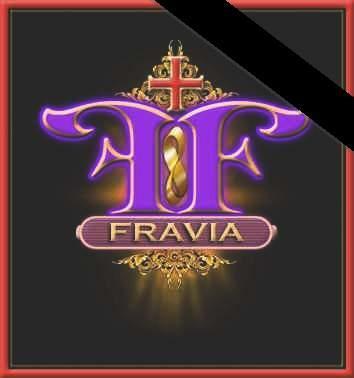 By then, he had a nickname, Fravia (see his logo on the right, with the black band it now shows since May 3rd), a mock identity in the web, Fjalar Ravia, and he moved to a problem he considered much more important than reverse engineering of software: the knowledge of how to search the web. "Fravia's web-searching lore" became the place to be for those willing to learn advanced techniques and tricks on how to fetch information from the web. 99% of us use google for web searches, and not even in a smart way: we just type something in the search window, and click the first few hits returned by the engine. But this plays in the hands of those who work to put irrelevant stuff on top of the list. The web, however, was not created as a commercial tool, but as a place to share information: and in fact, it is always possible to circumvent the barriers and find whatever one really needs. In one of the many conferences he held on the topic of wizard searches of the web (some of them available as a video stream, most others as transcripts), Chicco showed a diagram like the one I sketched on the left. 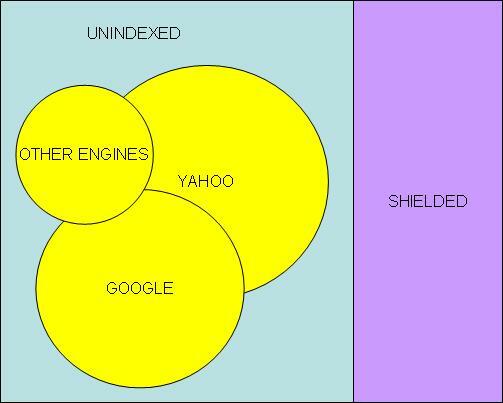 Search engine only manage to give you access to a small subset, maybe 40-50%, of the freely accessible web sites; but an additional large data base -which is kept shielded- is available to those who master the tools to explore the hidden paths of the internet. Chicco became affected by a squamous cell carcinoma of the neck in 2007. He fought a long, excruciating fight with the disease: he underwent two full chemotherapy cycles, four operations, countless biopsies and other diagnostics; he spent months in a clinic. This winter, at some point, it seemed that he might have won his fight with the beast. Unfortunately, the tumour had metastasized to the liver, and he died last Sunday. 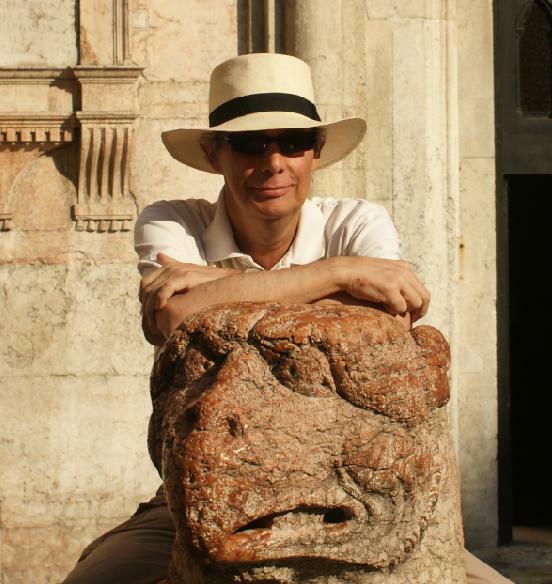 As he realized he was going to die in the matter of a week or two, he has left a "swan song" page in his web site, with some touching words, a priceless advice on how to avoid counting on the future and rather carpe diem, and a farewell. Despite the illness, Chicco had not completely given up his activities. His project to give a last lecture at SIGINT in Koln, unfortunately, did not have time to materialize -he was due to speak there at the end of this month. However, his web site -which had been only sporadically updated after 2007- will be his legacy to us, and will stay up and running; his many reverse-engineering friends will take care to continue what he had created. It is always hard to write an obituary, and I have tried not to do so here. Rather, the above is a summary of the way my life and Chicco's got entangled, and then forcefully divided. So I feel I only need to write here what I got from knowing him. He taught me how to be sarcastic without being venomous, and how to write wittily: for this I will forever be indebted to him. In chess games he always played the Alechin defense, and I have inherited that idiosyncratic opening strategy from him. He was always exceedingly generous with me, and I have learned that lesson. Most of all, however, he was simply an entertaining, intelligent friend, with an infectious laugh. He will be sorely, sorely missed.